Whether it's your first or fiftieth anniversary, you want to make it special! 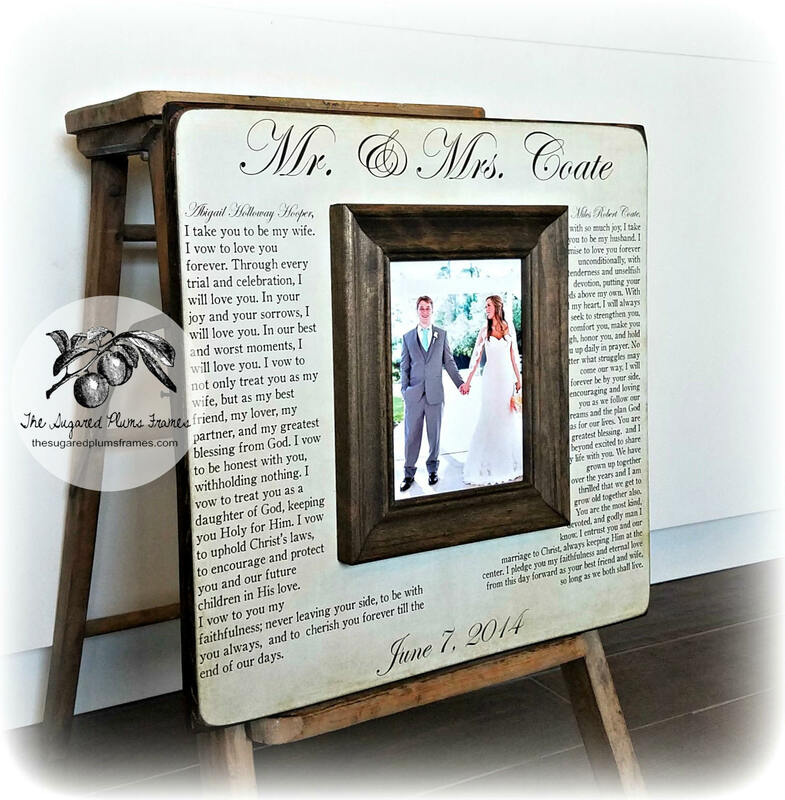 Surprise your spouse or significant other with a personalized picture frame that shows how well you know and adore them. We can use your wedding vows, first dance, “our song”, or any special text that commemorates the special day you met or married. The item we ordered was exactly as described and was high quality and perfect. Very satisfied and it arrived very quickly. We also received communication promptly. I absolutely love our frame & will be buying again! Looks even better in person. And she was willing to provide 3 proofs without hesitation. Much appreciated! My husband and I wrote our own vows for our wedding. I wanted a special way to display them! This frame surrounded by our personal vows was the absolute perfect way!